A 16-year-old juvenile from Newark surrendered to Homicide Detectives from the Hudson County Prosecutor’s Office shortly after 10 p.m. on Nov. 14, 2016 and was arrested for Murder and Conspiracy to Commit Murder in connection with the November 3, 2016 homicide of Michael Bowers in Jersey City. 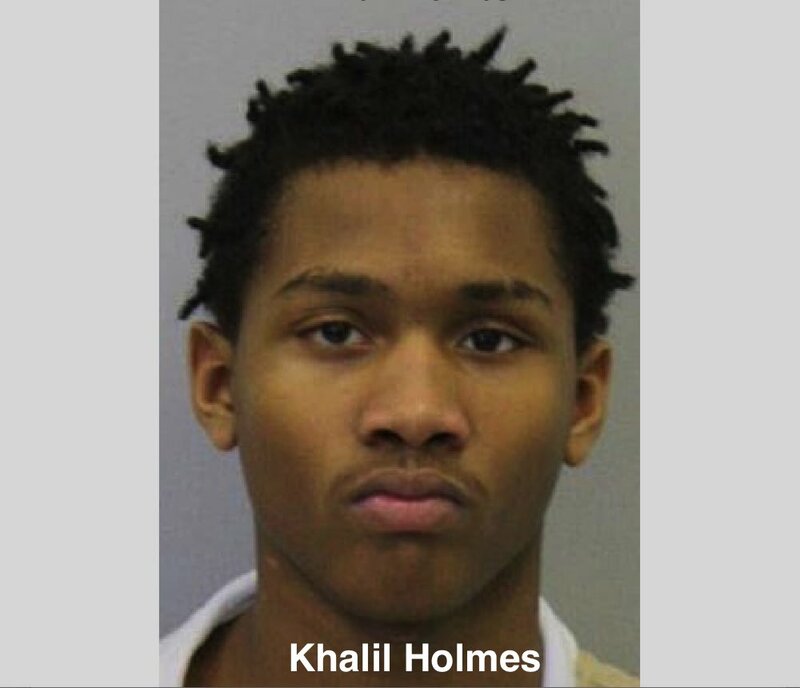 Prior to the arrest of the juvenile, detectives of the Hudson County Prosecutor’s Office Homicide Unit and Gang Task Force arrested Khalil Holmes, age 20, of Jersey City, who was also wanted for the murder of Bowers. Holmes was arrested on Dales Avenue in Jersey City on November 11, 2016 after a Superior Court Judge issued an arrest warrant for Holmes on November 10, 2016. Possession of a Firearm for an Unlawful Purpose in violation of N.J.S. 2C:39-4, Unlawful Possession of a Firearm in violation of N.J.S. 2C:39-5, and Conspiracy to Commit Murder in violation of N.J.S. 2C:5-2. Bail for Holmes has been set at $1,000,000 cash only. found one male victim on the sidewalk at 208 Fulton Avenue. The victim was later identified as Michael A. Bowers, age 34, of Jersey City. Bowers sustained multiple gunshot wounds. He was treated at the scene and then transported to Jersey City Medical Center where he was pronounced dead at approximately 9:45 p.m. The Prosecutor’s Homicide Unit continues to actively investigate this case with assistance from the Jersey City Police Department. Anyone with information is asked to contact the Hudson County Prosecutor’s Office at 201-915-1345 or to leave an anonymous tip on the Hudson County Prosecutor’s official website at: http://www.hudsoncountyprosecutorsofficenj.org/homicide-tip/ . All information will be kept confidential. The above charges are merely accusations, and the defendants are presumed innocent until proven guilty. R.P.C.3.6(b)(6).